On Saturday, June 10th 2017 , I was very happy to be once again part of the Life Ball family by hosting the TV program « Das Vorspiel »together with Peter Schneeberger just before the Life Ball opening. 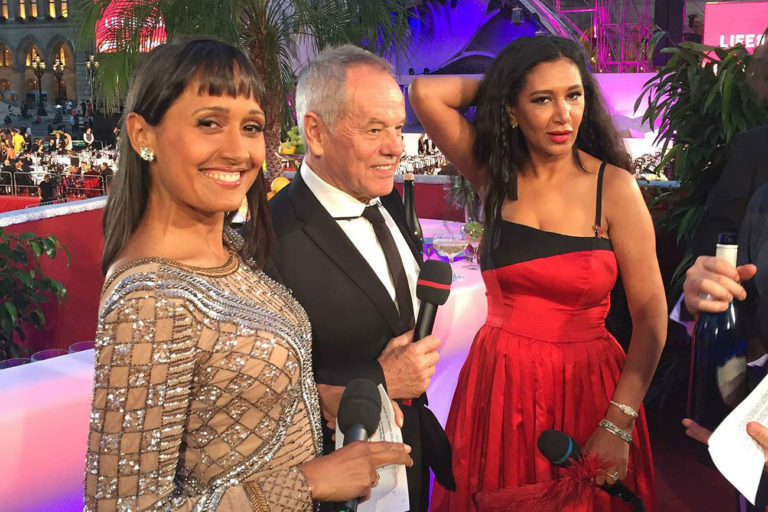 I had the great pleasure to meet the most amazing, humble and dedicated people such as the Austrian star chef Wolfgang Puck, who cooked for this year’s Oscar ceremony, and his beautiful and commited wife fashion designer Gelila Assefa Puck, who attended the ball for the first time as the representative of her own foundation « Dream for Future Africa ». For me, this event is always a symbol of life and joy and it reminds us, that the fight against AIDS is not over yet.